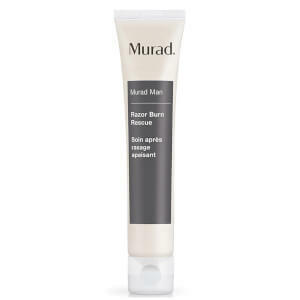 The man razor burn rescue from Murad contain Glycolic Acid that clears irritating dead skin and debris from clogged hair follicles and Tea Tree Oil removes bacteria to combat blemishes and promote healthy-looking skin. A unique complex of Neem, Vitamin E and Panthenol provides a soothing, moisture-rich antioxidant infusion. I've tried many products as I often suffer from rash from shaving. This is the best I have used and I have tried most on this site.